• Mix 1/2 tsp. CMC Powder with 1/2# yellow fondant. • Cut leaves using any leaf cutter. • Imprint with leaf veiner. 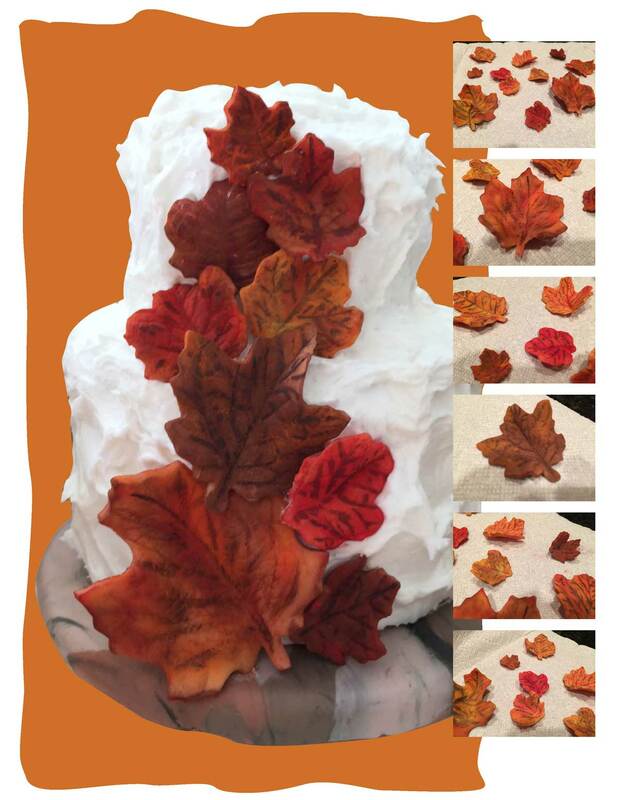 • Let dry overnight on crumpled foil to form unique shape of fallen leaves. • When dry – highlight veins with food color pens, let dry.